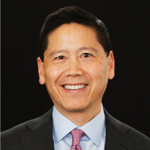 Randall Lee is a partner at Cooley LLP. Randall is a widely recognized litigator and first-chair trial lawyer with nearly 30 years of experience in both government and the private sector. With a practice that focuses on high-stakes internal investigations, SEC enforcement and white collar defense, he has been recognized among the world’s leading investigations lawyers by Global Investigations Review’s Who’s Who Legal: Investigations; by the Daily Journal as one of the Top 100 Lawyers in California; by Securities Docket as one of the 40 best securities enforcement defense lawyers in the country; and by Chambers & Associates in the category of government investigations and white collar defense. Randall is a former Regional Director for the Pacific Region of the SEC, where he was the SEC’s top official in nine western states, including California. Prior to his time with the SEC, Randall worked at the US Attorney’s Office in Los Angeles as an Assistant US Attorney and Deputy Chief of the Major Frauds Section.